The East Durham branch of a bank that was once a Durham powerhouse. 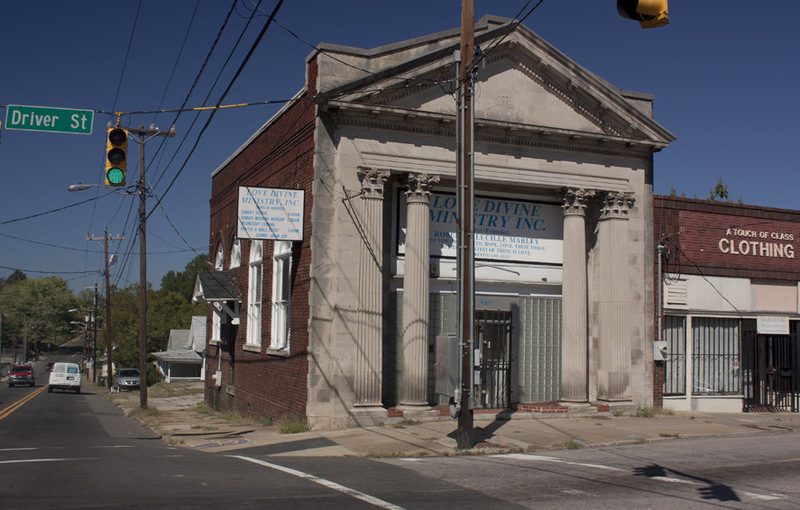 Sadly, with tenants such as "Love Divine Ministry" and "A Touch of Class Clothing", I don't see the condition of these buildings improving anytime in the near future. Don't worry, Gary, by the time it's time to do anything with this building, I'm sure we'll have buried the power lines... I mean, I assume that's about to happen any minute now. This building was owned by my father Cecil Crawford from about 1958-1966. It was his office and headquarters for several of his enterprises. I remember going there at night as a student at Duke to use one of the "new" electric typewriters. It is my recollection that he bought it from the bank. Dr. Robert Cecil Crawford Jr.
Fidelity Bank, East Durham, 1920s. Note the streetcar tracks making the curve from Angier Ave to S. Driver St. The Fidelity Bank (as I recently learned, that was pronounced Fie-delity,) first established by Washington Duke, Benjamin Duke, MA Angier, and George Watts in 1887, and later the anchor tenant in the Geer Building, expanded with its first two branches in the early 1920s - a West Durham branch and an East Durham Branch. Both branches were neoclassical in design, and similar in massing, although different form and materials were used in each. The Historic Inventory states that Durham architects Rose and Rose designed both branches. 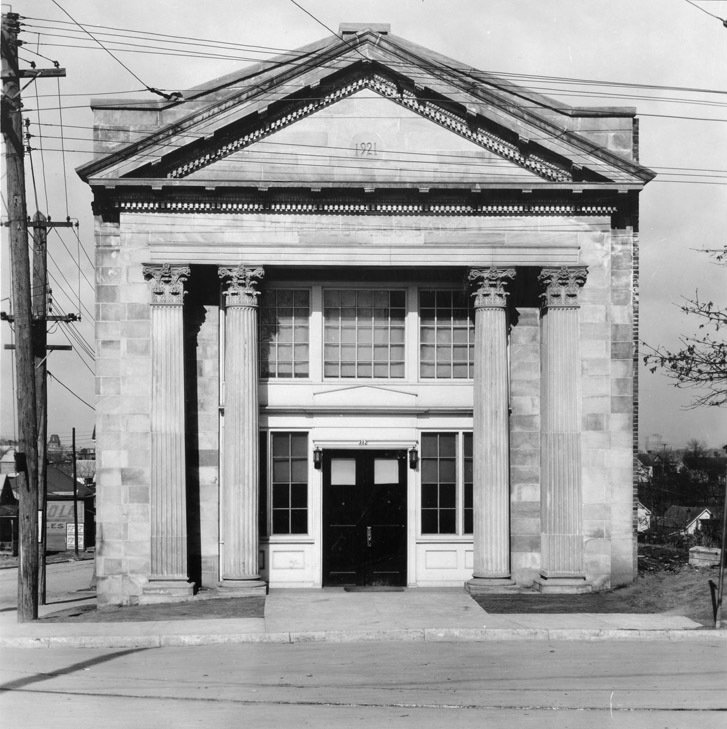 As the East Durham branch clearly notes, it was built in 1921. 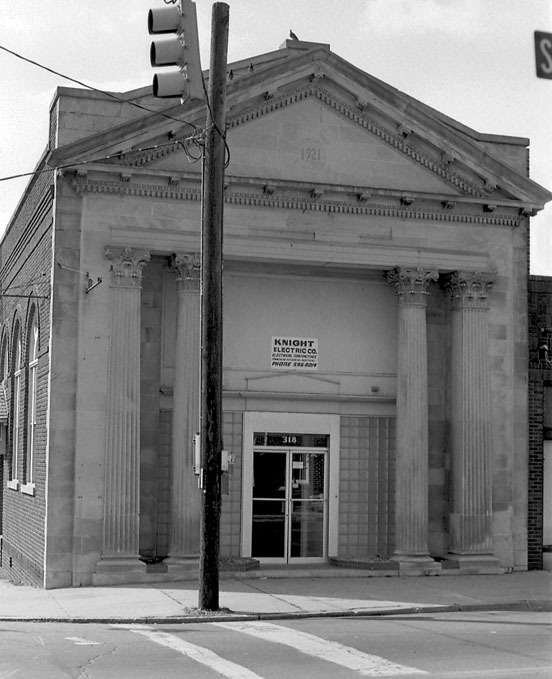 The East Durham branch, however, was not originally a Fidelity branch, but the new location of the People's Bank (as you can see on the facade above,) which, prior to 1921, had been located at 463 South Driver St. - the corner of South Driver and the NC railroad tracks. I am unsure as to when it was acquired by Fidelity, although it was the People's Bank in 1923. In 1956, Wachovia Bank of Winston-Salem acquired and absorbed Fidelity. 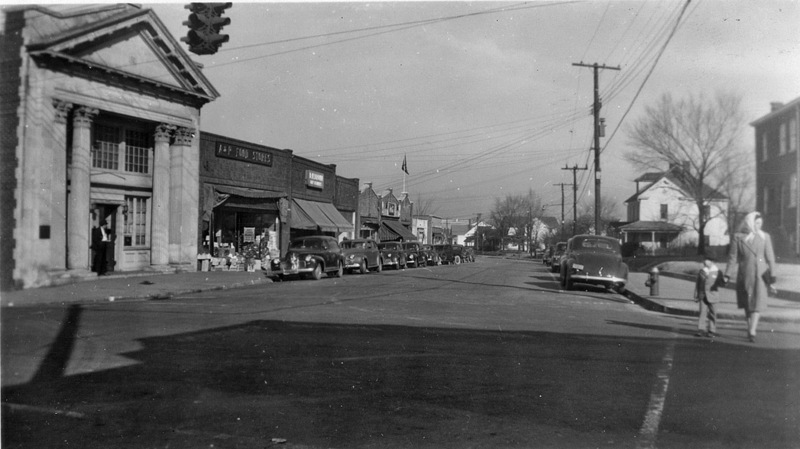 While the West Durham branch became a Wachovia, the bank constructed a new 'modern' branch in East Durham, complete with drive-thru, one block to the east on Angier Avenue and South Guthrie. The former bank branch would go through a series of tenants in the ensuing years. Consolidated Insurance Company made its home there in the 1960s; the Knight Electric Company by the 1970s. This is one of my favorite buildings in Durham - how I wish it would find its way back to a retail adaptive reuse that maximized the effect of the beautiful architecture.